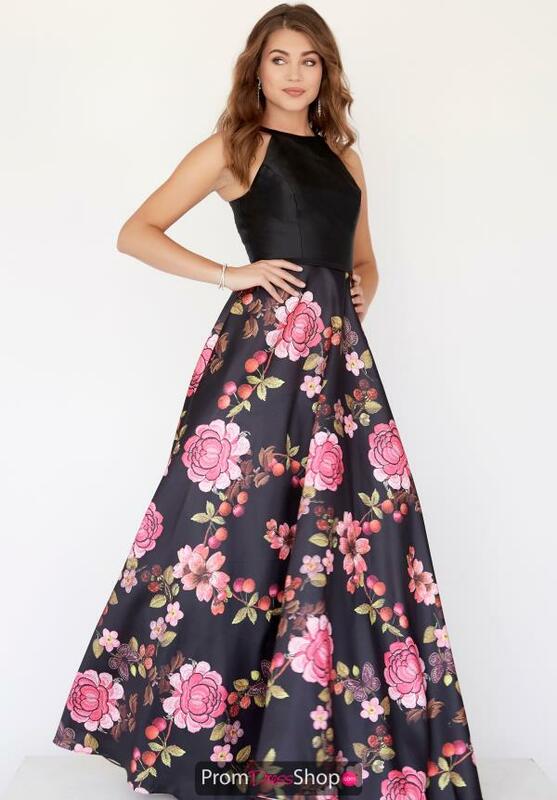 Ultra chic Jolene prom dress E80018 will be the center of attention at your next event. Featuring a high, halter neckline with no bead work to compliment its bold floral print on the a-line silhouette, and a full zipper back to finish it off. Find more floral a-line style dresses at the PromDressShop.com.